Recreates the natural look of a traditional campfire. Front log conceals and insulates the controls so that the log set can burn with fireplace doors closed. 18" and 24" sets have 10 fiber logs, 30" set has 11 fiber logs. 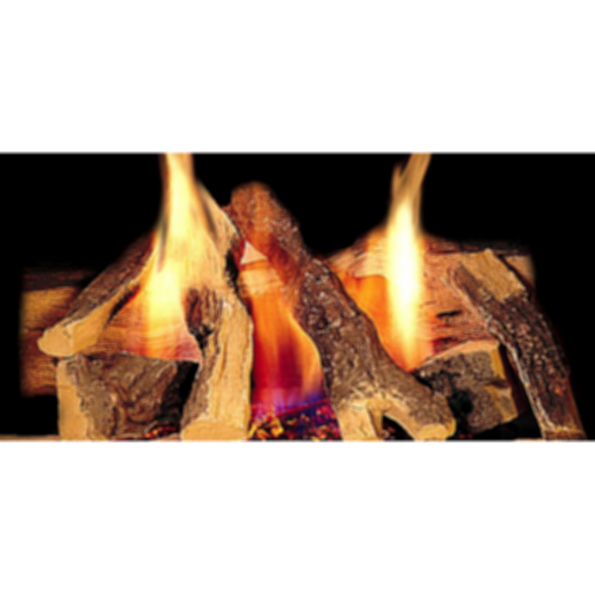 24" see-through version has 13 fiber logs to accommodate multi-sided fireplaces. Offers one type of burner: Remote Ready. Includes burner and hearth kit.